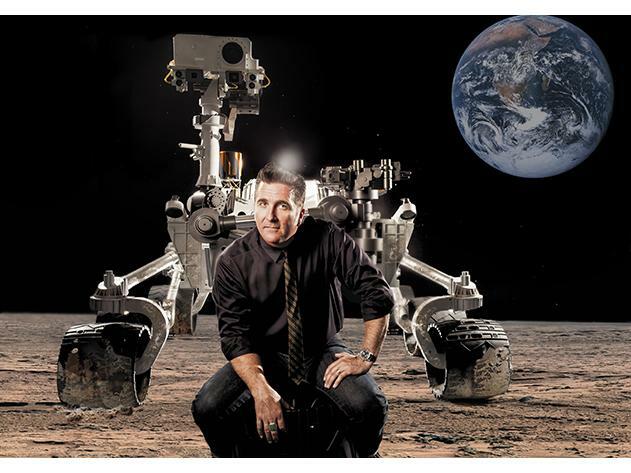 In October 02013 NASA engineer Adam Steltzner spoke for Long Now about landing Curiosity on Mars. In Beyond Mars, Earth, Steltzner gives an insiders view of previous Mars missions leading up to his team’s incredible feat of landing the Curiosity rover safely on the planet’s surface. More broadly he ponders why humans have the need to explore and where we may go next. Video of the 12 most recent Seminars is free for all to view. Beyond Mars, Earth is a recent SALT talk, free for public viewing until September 02014. Listen to SALT audio free on our Seminar pages and via podcast. Long Now members can see all Seminar videos in HD. This month our Seminar About Long-term Thinking (SALT) ”flashbacks” highlight Space-themed talks, as we lead up to Ariel Waldman’s The Future of Human Space Flight at The Interval, September 30th, 02014. After the epic subjects of his talk, Steltzner’s Q&A with Stewart Brand gets quite personal. A late-comer to science and engineering, one night he looked up at the stars, asked himself a question, and that lead him to a whole new life. Adam Steltzner is an engineer at NASA’s Jet Propulsion Laboratory (JPL) who has worked on the the Galileo, Cassini, and Mars Pathfinder missions as well as the Shuttle-Mir Program. He was the lead engineer of Curiosity rover’s “Entry, Descent, and Landing“ phase.